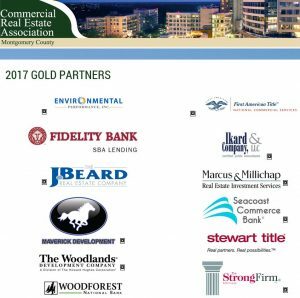 CREAM LUNCHEON SPONSOR - Environmental Performance Inc.
Environmental Performance, Inc., one of the twelve Gold Partners of the Commercial Real Estate Association of Montgomery County (CREAM), sponsored the monthly luncheon on Wednesday, July 12, 2017. CREAM is “a diverse group involved in the practice of commercial real estate or providing services to commercial real estate in Montgomery County, Texas.” Sach Prasad, President of Environmental Performance, Inc. gave an introductory talk prior to the featured guest speaker, Dr. Jim Gaines from the Texas A&M Real Estate Center, who presented the State of the Texas Economy and Real Estate Markets. The luncheon was attended by commercial brokers, lenders, and other service companies. EPI has been a Gold Partner with CREAM for a number of years.